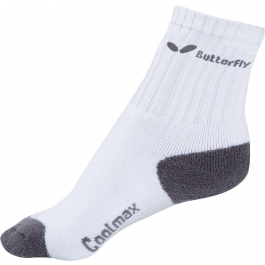 Cool Max Socks are the ideal Table Tennis Socks for keeping cool during play. They are designed to absorb perspiration and are high quality. Made from 75% Cool Max, 17% Spandex and 8% Elastane and comes in White/Grey as pictured.